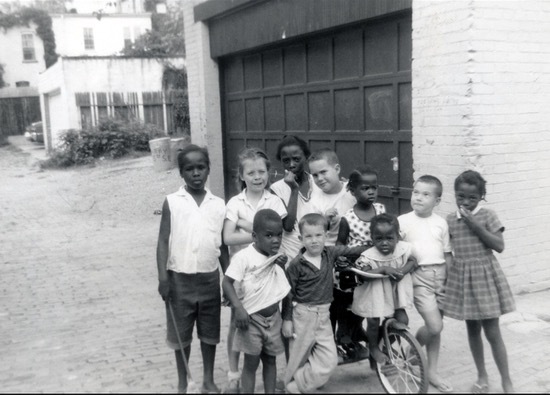 The Fifth Street "alley gang" neighbors, in the alley adjoining the 100 block of Fifth Street SE; about 1965. Front: Carlton Diggs, Chris Driscoll, Angie Diggs. Back: Colleen Diggs, Patty [last name? ], Janice Diggs, Steve Driscoll, Cheryl Diggs, David Driscoll, Lolo Diggs.